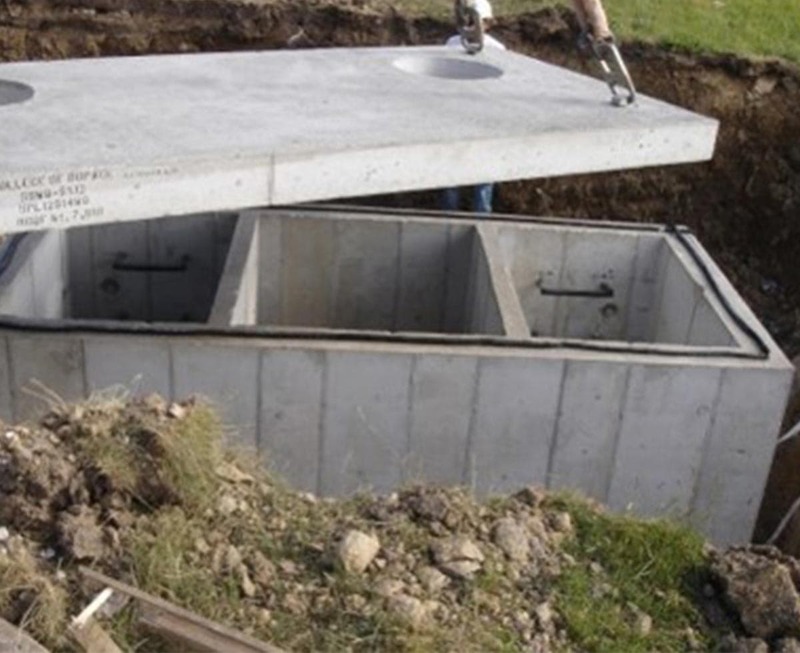 Project Description: A StormTrap infiltration system was installed with catch basins at each of the inlets to prevent sedimentation from reaching the system. The overflow outlet flows to an existing wetland, but water can also flow backward from the wetland to the infiltration basin. The water quality structure was installed to keep sediment from the wetland from reaching the infiltration basin. It is designed to have a permanent pool to act as a cushion to prevent scour of previously settled particles. The engineer also specified an energy-dissipation baffle at each inlet with a weir wall in between to further prevent backwash of sediment.